Debt is lingering amongst too many people. Debt doesn’t discriminate for age, intention, or income. I don’t want to get into statistics but would rather approach debt relief through the behavioral finance lens. My fiancé and I are living through the common mid-twenties debt necessity lifestyle which most people are accustomed to after college. You know, the debt you are predestined to occur as a college bound student from the middle class. You have to go to college, right? That starts the 25k debt. The car your parents let you have, graciously, conveniently falls apart around age 22, or is needed for the younger sibling. You likely weren’t able to save for that during college. Add 10k to the debt pile. Basic furniture, flat screen, nights out with friends, weddings, just harmlessly following the script. 3k more debt. Even if you do everything right, it is common for citizens born in 80’s and early 90’s to be straddled with some binding IOU’s. It feels okay for a few years post college. It is even normal to have. Then around age 25, the victim card falls off, and the 38k in debt is as real as real can get. My fiancé just got out of debt this past Friday! Wahoo. And as semi pro savers now, we paid for our celebration dinner by using Christmas cash we stashed away for this moment. Yes, we sat on cash for 2.5 months, because that money always had a plan for its use. 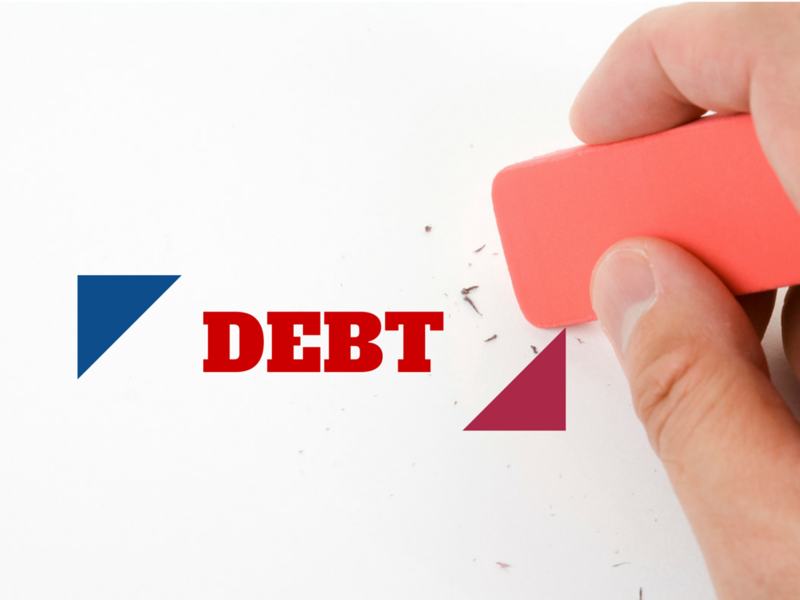 Which leads me to the 4 necessary steps to begin your debt free journey. Nothing great can be achieved by happen stance. To start a journey, you have to be aware that the journey is even needed. Until you accept that debt doesn’t have to be a part of life, you won’t take strides to achieve financial freedom. And no, freedom doesn’t come in the form of Chase Freedom credit card, no matter what Madison Avenue thinks. Step 1, become aware that you have unwanted lingering debt and aware of how much money you are spending on wants rather than needs. Spreadsheets do have tangible uses in every day, believe it or not. I created one to track the repayment progress of my debts; credit cards and student loans. The other was essentially reverse engineering of monthly debt needed to pay. I set a goal to be out of debt by our wedding next year. Then, I figured out how much money I had to throw at the debt pile each month to reach that goal. Every month I pay more than “needed”, the less I have to pay the next month. When you use the excel formulas correctly, there is little work to do other than inputting the amount paid for each account per month. It is so neat to see the amount go down month after month. Step 2, create a game plan that will get you to your goal. Take control of your money, have awareness of where your money goes, assigning every dollar a job in your game plan. This step is the most tangible one. To climb out of debt while having everyday expenses is easier said than done. There has to be a mindset shift to live well below your means. Until recently, I’ve never had to do that. Now, I’ll never go back. In order to expedite our debt repayment, we have made the following sacrifices; both have side jobs, she cuts my hair for free, she gets hers done at a cheap nationwide place that rhymes with eight-sips, cut the cable cord, we switched our phone plans from a large network to a smaller more affordable company, no money spent before noon rule, hard boiled eggs for breakfast, and going out less. All these aren’t extreme sacrifices, but they were a change of lifestyle. Step 3, give up a little now for a better life down the road. Finally, stick to the game plan and sacrifices. This is a journey, and those take a while. I am mid journey, and every month I set up a little win for myself to keep me motivated. Once you get started, it actually is fun to see balances drop and less money spent on interest. When going gets tough, get motivated by reading success stories. Payment to principal is an amazing thing. My fiancé is the rock star of the group who paid for her master’s degree less than 3 years after earning it. Step 4, stick to everything you’ve committed to do for this. I have never been debt free as an adult. This will change soon.